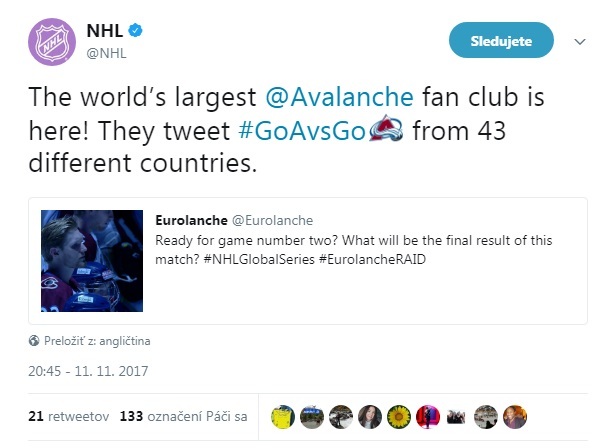 Eurolanche fan club did an interview with the former Colorado Avalanche center, now player of the KHL team. With the smile on the face and a few Slovak words, Ryan O´Reilly welcomed the Eurolanche at his hotel before he was welcomed by the Eurolanche at the airport in Bratislava, Slovakia, Central Europe. 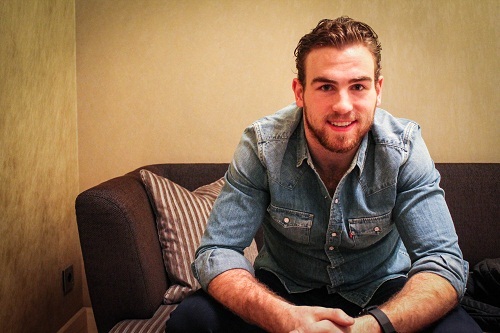 As we informed you, O´Reilly has signed a two year deal with the KHL team of Metallurg Magnitogorsk. If the Colorado Avalanche would offer him the contract with the better conditions, he will be back. Magnitogorsk will face the local team HC Slovan Bratislava on Sunday in the regular season game. O´Reilly is doing very well; played in seven games, scored four goals and added two assists. Eurolanche will visit the game and do Live Coverage with the start at 11 am ET, 9 am MT and 5 pm CET. Once the special coverage is started at www.eurolanche.com, you will be able to ask O´Reilly any question via Eurolanche and could win his signed photo. Very good. Unfortunately, do not playing hockey in the NHL. It is not my dream (the KHL), but it is still playing hockey over here and see countries like Slovakia, Czech Republic. It is very exciting just be around. The hockey is played at very intense level. It is a little bit different game, so definitely I am growing as a player. It is also about learning different languages, just be involved and live in the different country. Have you already played in the city of Khabarovsk? It is on the East, near to China. The flight from Bratislava there takes longer than to Los Angeles. It is amazing you can actually have a team that far away in the league and stuff like that. It is definitely very interesting and cool. Can you compare American and Russian culture? As the European, I see big differences between Europe and USA, and Europe and Russia. The difference between USA and Russia has to be big. It is very, very different. Some cultural things… Usually in the USA, you come to the rink and say hi to guys, but here you shake everyone´s hand and say hi. I think it is cool tradition they have. Everyone acknowledge everyone. The food is very different. Also smoking. You can smoke anywhere. In the restaurant. In the USA you cannot smoke at a lot of places. That is big difference. I do find people very nice to me, the hospitality has been great. It is nice to have other English speaking guys on the team that have been for a while, and actually can help me. My brother is being there too. So I knew what to expect. It is very different, but it is a learning experience and I enjoy it. It is one of the worst things about being there. I woke up in the morning and was minus 28 and I ask myself how does get this cold. What are differences between the organizations of Magnitogorsk and Avalanche? It is very difficult to compare because for me not able speak Russian and stuff like communicate with couple of guys at each situation. Both are very good organizations and great to me. Obviously Colorado there is no language barrier so I can talk to everyone and get know everyone better than here. It is little different, but both are very good organizations and I am glad to be part of. Matt Duchene said in one interview he even did not think about playing in the KHL, because some places in Russia are unsafe and the difference is big. What do you think about it? I think someone looking outside in there is some things you do not know about the league. Lucky for me, my brother is being there, he has played there for months now. I got really good source and someone I trust. He told me he has been treated very well and enjoys time there and he recommended if I have the opportunity play there it would be great me as player and person. Obviously I trust to my brother. So the reason why you chose Metallurg was your brother? Obviously it was big influence. But also Paul Maurice the English coach, Tom Barrasso too. Very good coaches. They are good. They made the decision easier. I know I can grow my game. Be a part of the winning team. The following video includes O´Reilly´s answer on question why he did not sign a deal with the Avalanche before the old CBA has expired and more! Why did you sign a contract for two years and not for the lockout period? Depending on the terms of the contract I do not know how it is going to work out with the new CBA and what is going happen with Colorado. I do like Metallurg and playing there. I am definitely happy be there and playing with the team also. Your agent Mark Guy told there is a clause in the contract which allows you to come back to the NHL, if the Colorado Avalanche would offer you a contract with the better conditions? Yes if Colorado can, I accept it and return. 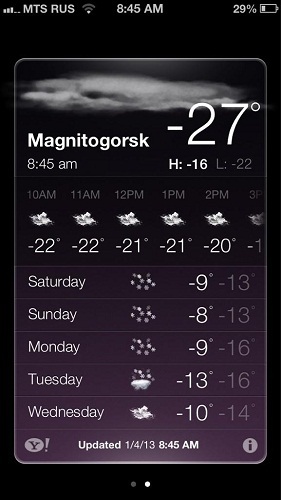 Would Magnitogorsk allow you to come back? Yes, I will be able to leave. I read the official KHL rules do not allow have a clause in the contract. For my situation being involved in the NHL last year and not being on the contract I am in very unique situation compared with the most players on the contract. It is difficult to explain. 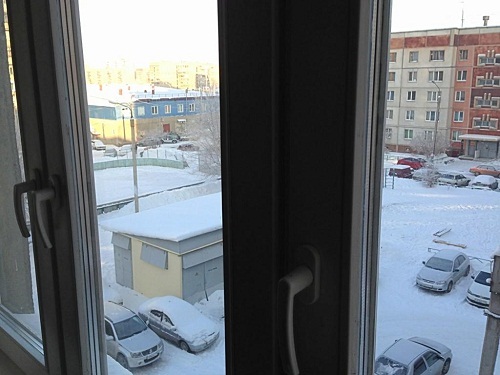 O´Reilly posted a photo of a view from his place in Russia. He told me he did not try to skate at the outside rink because it was too cold there. Will you start to negotiate with the Avalanche management when the lockout is done? What is your plan? Obviously I do not know what is going happen. I am sure when the CBA is returned the negotiating between both parties will return. Do you think you will be back in the Avs uniform? I do not know. It is tough to say. Especially not knowing what CBA is at right now. With the next couple weeks will be very important for the NHL season and it is tough to say what will happen. All I can do is keep trying to grow my game and enjoy my time here and when the time comes make a right decision. Can you imagine there is chance you could play for other NHL team? I think yeah it depends what happens with Colorado and what other teams come with. It is something that is out of my control really. I trust to my agent to make the best decision. Obviously I love to wear Colorado jersey, but it is a business too. I can only like control what I am doing here now: play hockey and getting better and better each day. If you were re-joined the Avalanche, what will be the next goal for the team? Personally it is to win the Stanley Cup. The team is on the right direction, still young. But we are learning how to grow together and play right way. Take each game as serious as can. Getting in the playoffs and try to win series and hoist the Stanley Cup. Are you in the contact with some Avalanche teammates? Yeah, I talked to players what is going. It is difficult being in Russia and communicates with them. Time changes... It is nice to hear from guys how are they doing. O´Reilly is in Bratislava, Slovakia. Are you in the contact with someone from the Avalanche management? What do you think about lockout? It is tough to say. It is kind when I am going to sleep the negotiating is going on and when I wake up find out what is happen. Good thing and bad things are happening. I think players and owners are pushing, it is kind of pulling together trying to deal one. Definitely for the fans they deserve a game. As players we want to play. Owners want to put on. It is something I started realized that we are in the hockey season and it is not the same without NHL. Do you think the lockout will end in the next week? It makes the next week very important. Hopefully they do come towards more and we can make finally deal. As players we have to make stand. We give them much. Make sure a fair deal that help both sides and have still great games for fans. Do you think your teammate Evgeni Malkin is the current best hockey player? Yes. I think we played 6-7 games. He is definitely one of the best players I have ever seen. It is very nice to be on the team with him beside of playing against him and trying to stop him. He is ap henomenal talent. How is doing your injured older brother and teammate Cal? He is doing well, recovering. He has injury that sat him back, but he is getting better, more mobile now, hopefully he will return soon. What do you think about Landeskog´s captaincy? It is great move. Landeskog is a great guy. There are a lot of guys who can step this captaincy role. He always finishes checks every shift, shots pucks, does little things right. I think it stands out as much doing at the young age. It is great thing give him a captaincy.